Last month our Managing Director Adam Katten gave his second lecture in financial education to final year students at the British College of Osteopathic Medicine. The college are offering students the opportunity to gain a better understanding of financial planning before they leave and step into the world of work, either through joining a current osteopathic practice or setting up as self-employed consultants. 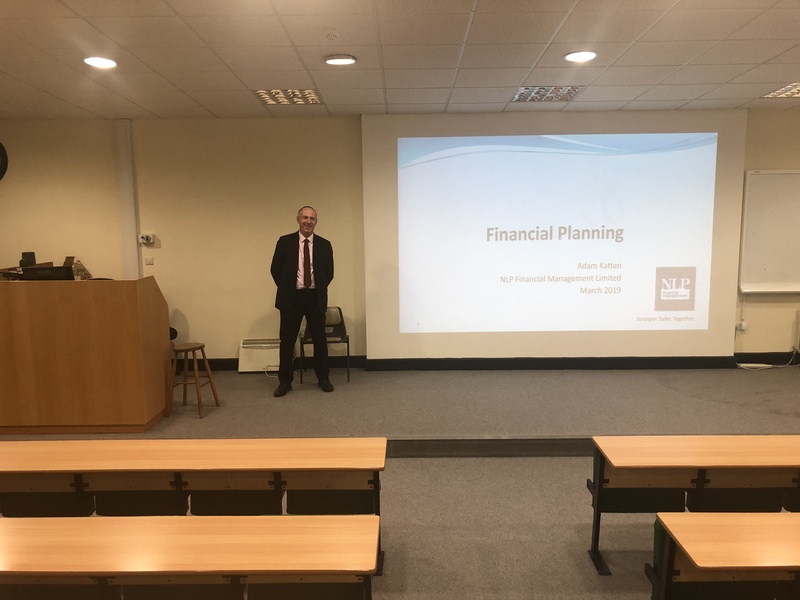 The first lecture that Adam gave late last year focused on financial and protection planning; March’s lecture concentrated on pensions and investment opportunities to help students make informed decisions on maximising tax efficiencies and starting to save for their futures as early as possible. With financial education now part of the secondary school curriculum, children are starting to learn the basics of budgeting, savings and getting to grips with bank accounts, however it isn’t until they leave home for university, or to work, that the responsibility of paying rent and bills becomes a reality. Combine this with potentially running your own business, thinking about pensions with or without auto-enrolment and tax implications, the fact that the College are providing financial education is a great way to increase students’ preparation and awareness. With the average pension pot for people aged 45 years currently at only £60,000, it’s critical that young people start saving as early as possible and learning how to make their money work efficiently and NLP Financial Management are delighted to be involved in initiatives such as these.